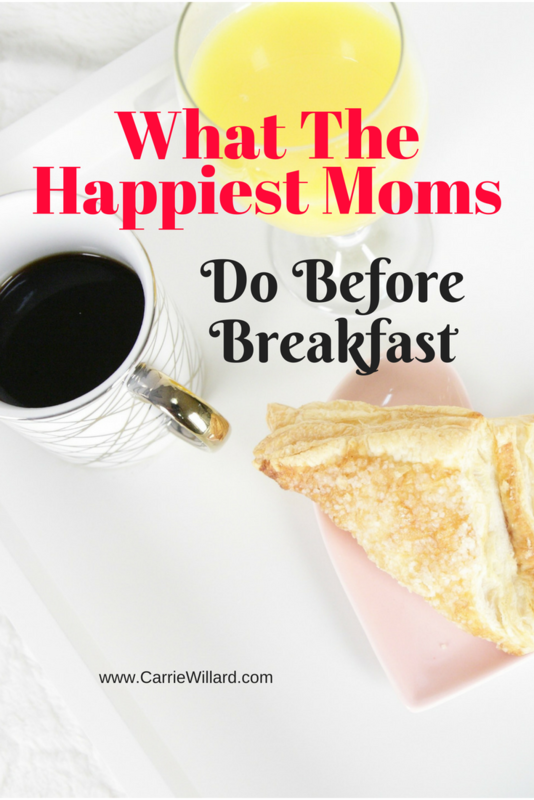 “What the happiest moms do before breakfast” was inspired by an ebook by one of my favorite authors, Laura Vanderkam: What the Most Successful People Do Before Breakfast: A Short Guide to Making Over Your Mornings – and Life . This short but practical little book contains many examples of how successful people capture early morning hours to meet their goals. Since my life, and the life of many stay at home moms, doesn’t resemble the people Laura profiled, I decided to put my own spin on its advice. One of the habits that contributes most to my happiness is getting up before my kids in the morning. I haven’t always done this. When my kids were younger, I let them wake me up. I didn’t mind this arrangement, it was sweet to have them all crawl into bed for a few cuddles in the morning. But later on I realized that the only time of the day in which I could totally call the shots on how I was spending my time was before they were awake. As my family grew and there were more people who needed me, having some time to myself was vital to my well-being. Letting my kids wake me up put me into reactive mode for the rest of the day. And besides, snuggling on the couch in the mornings after they get up is just as fun! If I didn’t get up before my kids, I wouldn’t be able to write every day. Other things would take up all my time, and I wouldn’t be able to focus as well as well as I do in the quiet early morning hours. I would give in to the “tyranny of the urgent“. I asked a couple of moms I admire, who are also writers and homeschoolers, how they start their days. Crystal Paine arose at 4 AM each day while writing her book entitled The Money Saving Mom’s Budget . “I use my quiet morning time to drink my coffee, read my Bible, pray, and plan my day. This helps me to mentally and spiritually prepare for the rigors of motherhood, and make a plan of attack for the day. Plus, I’ve found that a little bit of quiet before the day begins helps to improve my sanity and my overall mood during the day. A word about being unstoppable: In the book, Laura writes that by breakfast, successful people *ahem* moms have “scored daily victories that are advancing them towards the lives they want”. I love that line. Crystal illustrates it here. And I find the same thing. When I have that time in the early morning to work on my own personal goals, I feel much more fulfilled as a person. 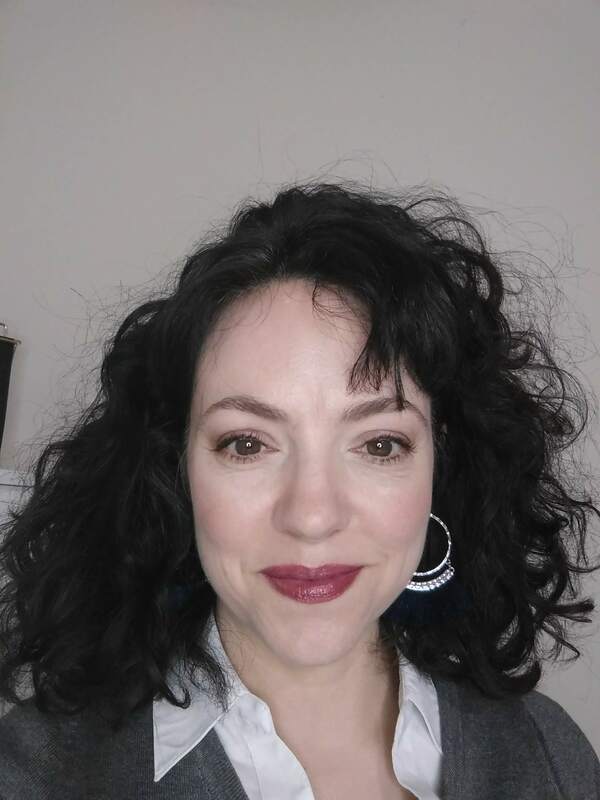 Then I asked Anne Bogel, a mom of 4 who writes a very popular blog ModernMrsDarcy.com, about her morning routine. I get up at 5am. I take a quick shower and pull on the clothes I picked out the night before. Then I brew some coffee and sit down to write, every day of the week. (Having the same pattern everyday really helps me stay on track.) My goal is to be writing by 5:20. I make sure I know the night before what I want to work on the next morning so I don’t waste precious alone time getting oriented. My kids usually wake up around 7:00, and that’s when I get breakfast for them and for me, review my to-do list, do a brain dump while I’ve got the pen in my hand, blow-dry my hair and put on makeup. On days I work at the law firm, the basic morning routine is the same. I just need to be ready to head out the door at 7:45. – I get up between 4-4:30, put on clothes I’ve laid out the night before, do a quick hair and makeup. Drink water, brew coffee. – Turn on the laptop and start writing. I have my Bullet Journal by my side with blog post ideas so I don’t waste time. I write at least one article and then reward myself with reading other blogs I enjoy, then answering emails. – Eat something I’ve prepped the night before (overnight oatmeal, or a muffin-in-a-mug). – Hubby makes breakfast, so at around 8:30 I head upstairs to the kitchen to help get everyone fed and him out the door. Morning time is ideal for activities that are Important but not Urgent. The things that moms often crowd out in the busyness of parenting. Things like spirituality, exercise, personal goals and passions. I don’t feel that I’m naturally a morning person. I don’t feel particularly great or energetic in the A.M. And lots of people would say that waking before their kids wouldn’t work for them. Maybe not. But there seems to be some science behind the effectiveness of early morning hours for certain tasks. The book Willpower mentions research that shows that tasks that require self control are easier to do in the morning. Why? Because willpower is depleted as the day goes on. Imagine willpower is the gas in your tank. Every time you resist a temptation, control an emotion, bite your tongue or even make a decision, you use up a little of the gas in your willpower tank. I used to think I was odd because making decisions all day when my children asked me questions exhausted me. Turns out all people experience the same phenomenon. Decision fatigue is a universal experience. By the end of the day, despite your best intentions, you won’t be nearly as likely to exercise, because your willpower is all spent. You’ll sit on the couch and eat a chocolate chip cookie instead. Would you like to have more time for yourself in the morning? 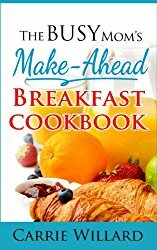 I'll send you 3 free Make-Ahead Breakfast recipes from my cookbook. They'll simplify and de-stress your mornings and give you more precious time to start your day off right. In the life of the stay at home mom, things like laundry, poopy diapers and meals are going to get done because they’re immediately demanded and doing them is instantly rewarded. But nobody is going to notice or care if you don’t take that walk, or pray, or write or whatever it is. And these are precisely the things that charge your batteries and change the trajectory of your life. My advice is to buy the ebook and then think about something you really want to accomplish in your life. Maybe it’s losing weight. Growing your income. Or reading the Bible through. Reading a classic novel. Connecting more with your spouse. Then, use the tips in the ebook to work that goal into a morning routine. What the Most Successful People Do Before Breakfast: A Short Guide to Making Over Your Mornings–and Life sells for $2.99. And you’re worth it. What do your mornings look like, and how do they contribute to your happiness as a mom? Note: One of the ways I improve my mornings is by making breakfast the night before. I even wrote an ebook about it. I’m positively addicted to having more relaxed mornings. Check it out here. This sounds like a great ebook! I already get up early in the morning, but I’m sure I could learn some habits that would make even better use of my time. Loved reading this post. I’ve been toying with the idea of getting up earlier but am by nature a night owl so it’s been kind of hard to do. Today however my baby and my lovely cold had me awake by 6 am. and as usual, I am amazed at how much I get done before the children are up and the demands start. And I’ve noticed the times I do this that I am much more productive and also typically have a better attitude/outlook on life too. @Tracey – even though I’m in the habit of getting up early, the book had some great advice. It’s easy to squander that time instead of making it count towards something meaningful. Good ideas all around! I am guilty of letting the little ones wake me up. Since we’ve had exactly three nights of the baby not waking up at all, I’m still on sleep deprivation mode. However, it’s one of my big goals to start getting up before the kids once he is regularly sleeping all night. My plan is shower, coffee, Bible, pray, computer, in that order. I have to use the computer as a reward since it’s not my job. If I really love getting up before them, I may even try to fit in exercise eventually! Thanks for the mention, Carrie! I also enjoyed Laura’s new ebook. The gold in it for me was to spend my mornings on things that are “important but not urgent.” I love the way Laura thoroughly unpacks that idea in the book. I have Willpower on my reading list. Have you read Switch by the Heath brothers? It’s heavy on the theme of self-control being an exhaustible resource, and gives lots of advice on how to work around that. ITA about getting up b4 your kids. Even though we only have one, DH and I have to get up some time b4 he does, b/c he is SO demanding of our time and attention. I read Laura’s “168 Hours” last week and loved it. The first thing I implemented into my schedule was getting up earlier. Being pregnant, that time changes. But I also make a list the night before of what I want to do when I get up so I’m not tempted to lay there and think about what I need to do or just plain waste my quiet morning hours thinking of what I need to do. 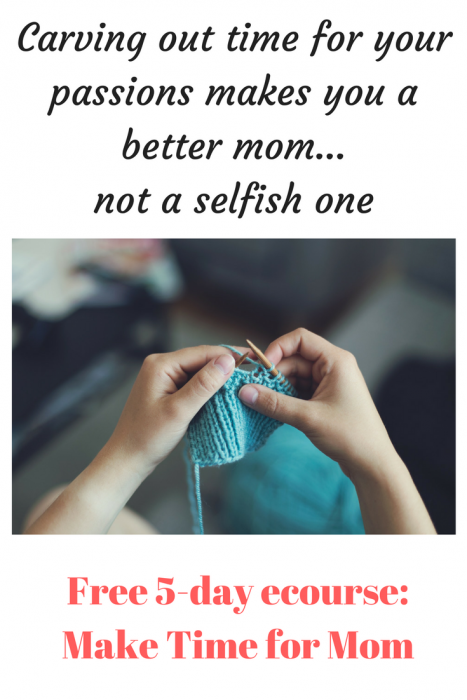 This makes me a happier mom because I feel like I can create more focused time with my daughter and feel less guilty that I’m being pulled many different directions.